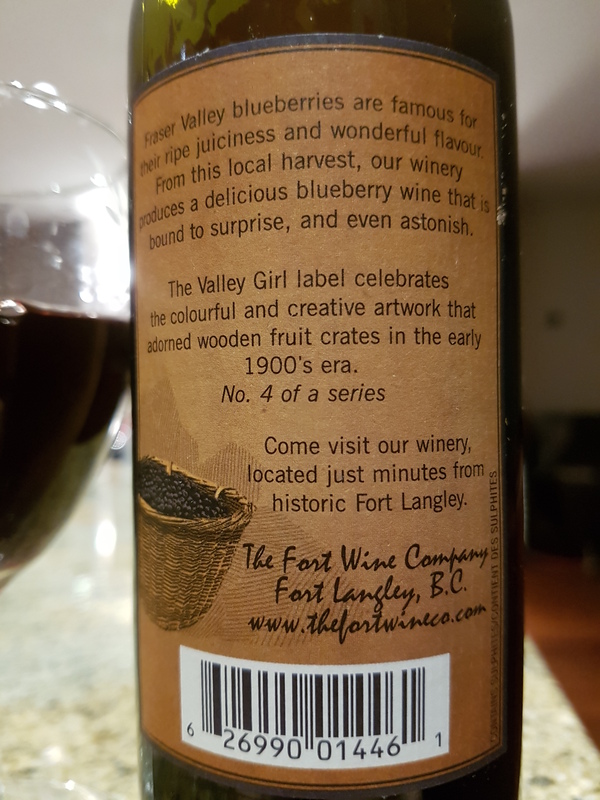 Valley Girl Brand Blueberry 190 – The Fort Wine Co. (Fort Langley, BC, Canada) | Justintoxicated. Visual: (cellared for 7 years). Synthetic cork. Pours deep purplish-currant with a bit of sediment. 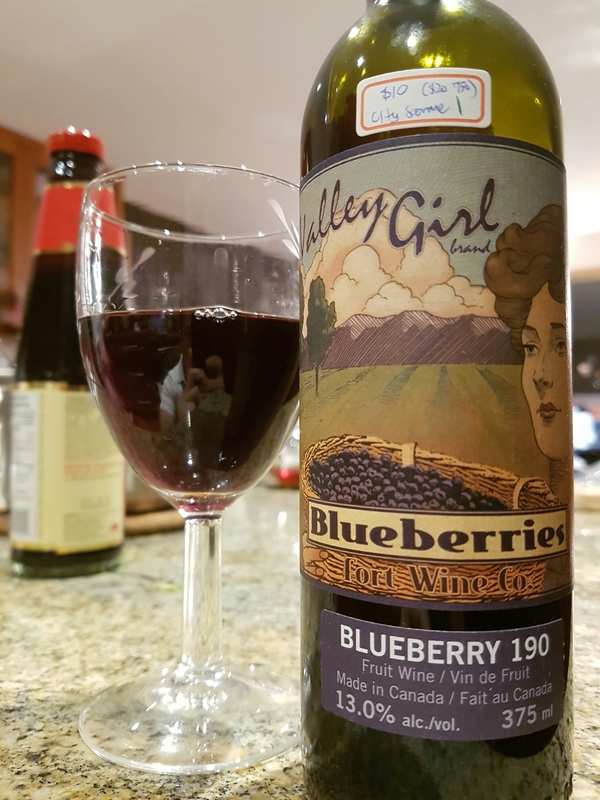 Summary: Drinkable, a 50-50 balance of alcohol and dull blueberry flavour. Not the bright type of wine, darker and drier. Just average, reflected in the price.